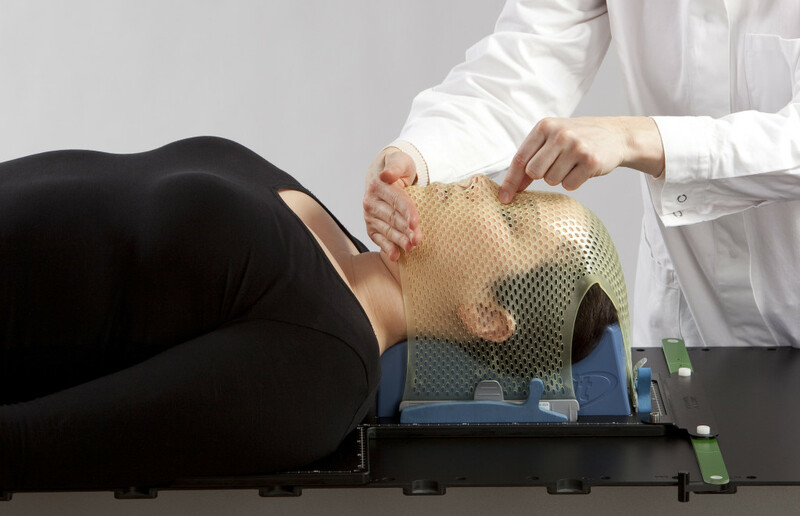 Moulding a radiotherapy mask has become a routine task for most technicians. However, problems may pop up either during the moulding process or while refitting the mask for the first treatment session. 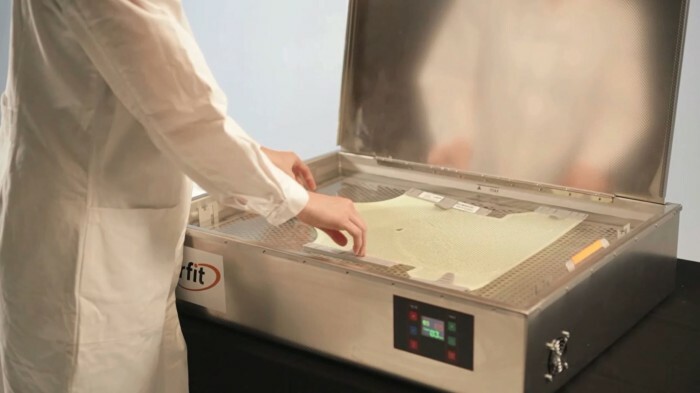 Orfit has listed several tips to avoid these issues and to assure a high precision, reproducibility and patient comfort. 1. Make sure the temperature of the water bath is between 65 °C and 70 °C (149°F – 158°F). 2. Stick closely to the heating times in the water bath, which is 3 minutes for an Orfit Single Layer High Precision Mask and 4 minutes for an Orfit Hybrid High Precision Mask. 3. Leave the mask on the patient for at least 10 minutes to allow it to harden completely. 4. Don’t spend too much time on towel drying the mask because this reduces the moulding time. Dry the mask sufficiently to avoid hot water from dripping on the patient. 5. Position the mask with the top of the nose hole on the tip of the nose to make sure the nose of the patient is sufficiently covered for a stable immobilization. 6. Mould the thermoplastic material over the chin and the bony part of the nose. For patients with a larger head the thermoplastic material sometimes has to be pulled downwards to make sure the chin is completely covered. Chin immobilization ensures that the patient cannot move, tilt or shift the head. 7. Do not mould over the forehead, cheeks or other parts of the face to prevent a mask that is too tight. Do not press the eyes of the patient. You can slightly push the material in both ears to create an extra reference point. 8. 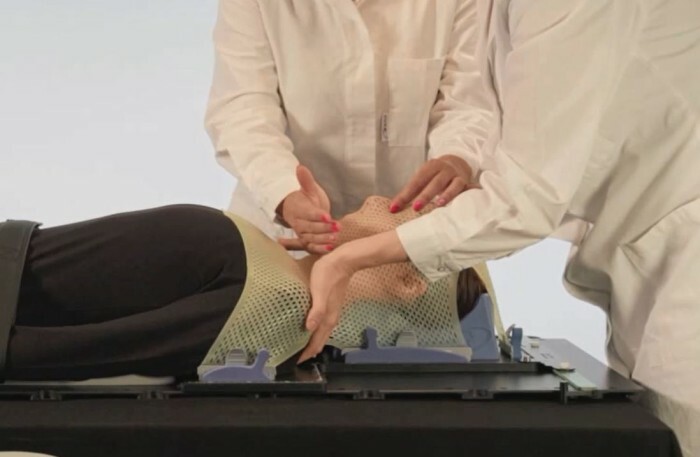 When moulding a 5 points mask, make sure you form the material well around the shoulders to prevent the patient from moving his shoulders up and down. 9. Do not actively push in the neck area when moulding a 5 points mask to prevent excessive pressure in that area. 10. Make sure you pick the right mask size. For heavy or muscled patients a large 5-points mask or a hybrid mask is recommended. 11. Explain to the patient what is going to happen so he or she is not surprised by the heat and pressure of the mask. Watch our mask moulding movies to learn more: 3-points head and neck mask and 5-points head, neck and shoulders mask.